Following the creation of any beef, there comes a time when the parties involved in said beef have to make a choice: Will they escalate things with another dose of burnsauce, or will they leave the kitchen altogether? 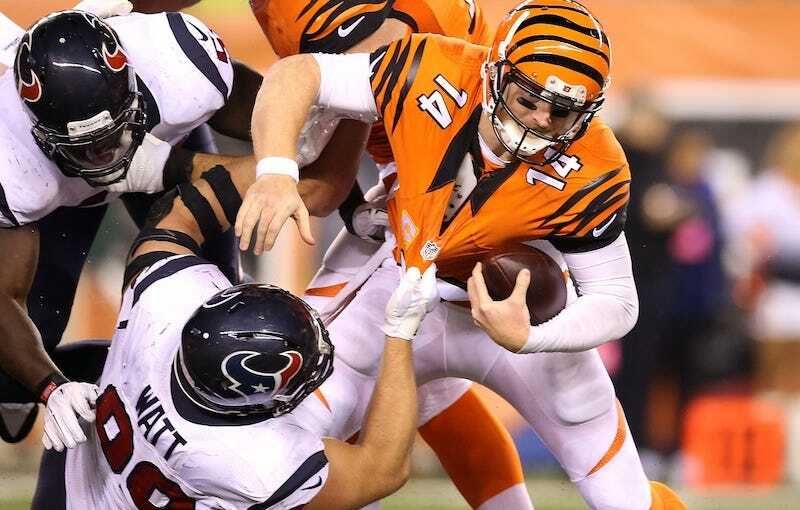 Andy Dalton and J.J. Watt have reached that point, and both men are standing down. “What I did wrong is that I responded to what somebody said that he said,” Dalton told Cincinnati reporters. “I never even heard his interview. So I don’t know the context in which it was said. I don’t know what he said before, I don’t know what he said after. My part, I shouldn’t have reacted the way I did without hearing what he said and actually hearing what he said. I was responding to what an interviewer tells me he said. But what about Dalton saying something about THE CHILDREN who look up to J.J. Watt? All for the best. This particular beef was never that hot to begin with.